Perfectly matched to the cabinet and woofer, and precisely flared to minimize turbulence even at the lowest frequencies. Sturdy, versatile and high quality terminals that provide maximum connection flexibility. 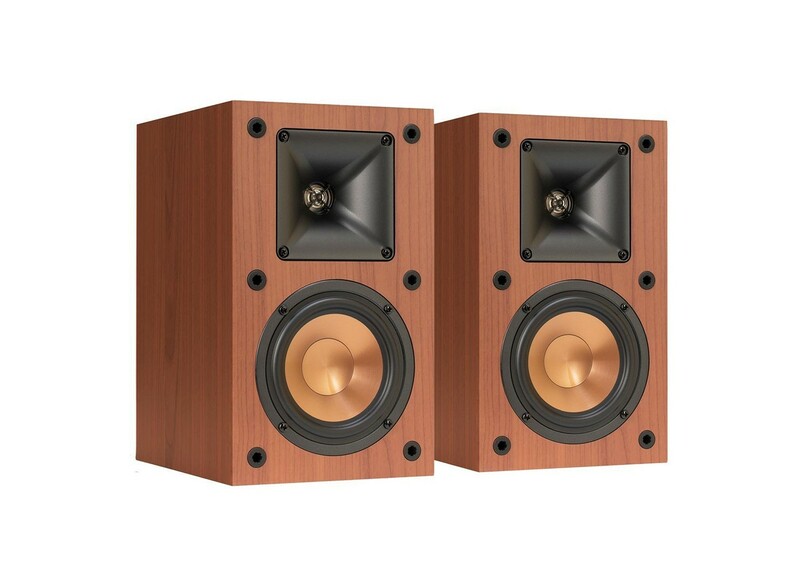 Klipsch Reference floorstanding speakers feature a front-firing port that is perfectly matched to the cabinet and drivers. This design is precisely flared to minimize turbulence even at the lowest frequencies. 5-way binding posts provide the maximum connection flexibility. Finished in a brushed black polymer veneer, Klipsch Reference speakers let you hear what you’ve been missing.